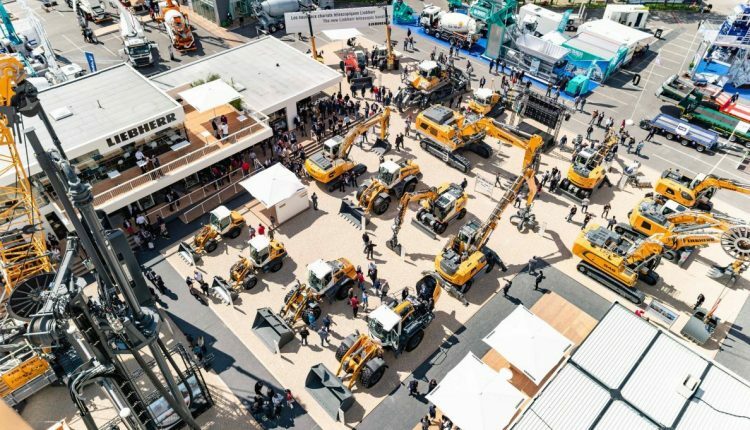 The Liebherr Group notched up a turnover of € 10,551 million in 2018, breaking through the € 10 billion barrier for the first time in the company’s history. This represents an increase of € 739 million, or 7.5 %, compared with the previous year. Despite a slight decline in overall economic growth, 2018 was a record year for the Liebherr Group. Both the construction machinery and mining equipment divisions recorded overall increases in sales revenues, as did the other product areas overall. Revenues from construction machinery and mining equipment rose by 10.8 % to € 6,833 million, with especially strong contributions from the Earthmoving, Mobile Cranes and Mining divisions. In the other product areas, which include Maritime Cranes, Aerospace and Transportation Systems, Gear Technology and Automation Systems, Domestic Appliances, Components and Hotels divisions, turnover rose by a total of 2.0% to € 3,718 million. The Liebherr Group achieved a net profit of € 321 million in 2018, slightly above the previous year’s level. The operating result remained stable compared to the previous year. The financial result declined, mainly due to negative effects of currency movements. As a high-tech company, Liebherr pursues the goal of making a decisive contribution to shaping technological progress in sectors relevant to the Group. Liebherr invested € 586 million in research and development last year. The bulk of this was used in the development of new products. A large number of joint research projects with universities, other higher education institutions and research institutes were initiated and continued. A special area of focus for this research project is the construction site of the future. For example, Liebherr started a development partnership with the RWTH Aachen within the framework of the Center Construction Robotics and is also involved in the “Construction 4.0” joint project initiated by the German Mechanical Engineering Industry Association (VDMA). Important issues across the wide range of products and services include, as they have done for many years, increasing energy efficiency, networking, automation and lightweight product design. One important project involves research into additive manufacturing processes in the aerospace industry. It reached a milestone last year by delivering the first mass-produced component using 3D printing. The Group is also forging ahead with e mobility initiatives, developing charging cable cooling units for charging stations and carrying out research into an electric turbo compressor for fuel-cell-powered vehicles. € 829 million euro was invested in the production sites and the global sales and service network. This means the Liebherr Group increased its investment activities by € 51 million compared to the previous year. Offset against this was depreciation of € 513 million. A new development and exhibition centre was opened in Kirchdorf an der Iller (Germany) where new construction and material handling machinery will be developed, tested and inspected. Construction has also started on a new logistics centre. In addition, the Group has invested in Bad Schussenried (Germany) which will serve as a new manufacturing site for concrete pumps. New production lines for large engines are being set up in Bulle (Switzerland) and Colmar (France). A new aerospace training centre for employees and customers in Toulouse (France) is also planned. Liebherr is starting to install a powerful land-based heavy-duty crane in the port of Rostock. The TCC 78000 portal crane is not just going to be used to load Liebherr cranes, which are continuing to increase in size, but will also be available for external heavy load handling in the port of Rostock. Outside Europe, Liebherr is investing in projects such as the development of the Newport News site (USA). The expansion of the crane, construction machinery and concrete technology divisions is intended to support the Group’s long-term growth strategy in the US market. According to the latest projections, global economic growth is expected to continue to slow during the current year. However, there are no signs of an imminent recession. Demand in most regions and industries may develop very positively in 2019. Therefore, the Group expects sales revenues to continue to rise in 2019. The order books which were already nicely filled at the start of the year also suggest this. On Thursday, 4 April 2019, Liebherr publishes its current annual report. In addition to detailed figures, it contains a magazine section reviewing the past financial year. In an interview, Dr. h.c. Dipl.-Kfm. Isolde Liebherr and Dr. h.c. Dipl.-Ing. (ETH) Willi Liebherr, the second-generation family shareholders, give their summary for 2018.